The casita is a small cottage (36 SQM) located in the Chianti region 9 km from Siena which includes a glass veranda as living room, a fully equipped kitchen with washing machine and dishwasher, which can be used as dining room, and a double bedroom with French bed. The adjoining bathroom has a large shower. In the large garden with lovely flower beds and many shade trees there is a private swimming pool. A gardener keeps the grounds and the pool in impeccable conditions. Right behind the casita there is a beautifully designed vegetable garden where guests are welcome to sample the seasonal fresh fruit and vegetables. The owners are an international couple who speak English, German, French and of course Italian and who live in a house at the other end of the garden. They are willing to help their guests in many ways. Valéria et Fritz sont adorables, ils nous ont très bien accueillis sur tous les plans et bien renseignés. Leur gîte est très bien installé au milieu d'un jardin magnifique à partir duquel nous avons pu apprécier la large vue sur la campagne Toscanaise et bénéficier de la piscine. Parfaitement situé, on a pu visiter Sienne et la campagne différente entre le Chianti et les Crêtes. A recommander. Our guests were lovely, as it is often the case with people who choose to stay at the casita. It is especially satisfying to have such a warm review about our garden, it makes our efforts so very worthwhile, thank you! 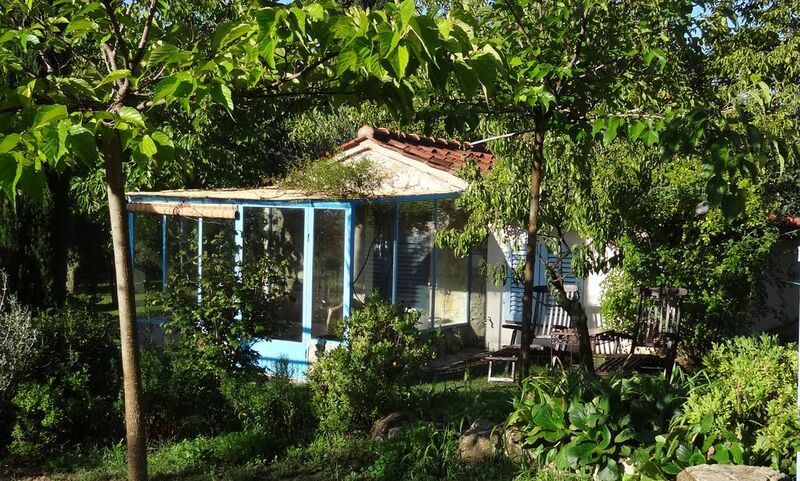 accueil chaleureux dans un havre de verdure avec une jolie piscine , les produits du potager nous ont régalés et la maitresse de maison parlant un français impeccable ne savait plus comment nous faire plaisir. Séjour très agréable que nous n'oublierons pas ! Es liegt uns am Herzen, Dies niederzuschreiben. Wir wurden von der Gastfreundschaft und Liebe unserer Gastgeber verzaubert. ihr müsst es erlebt haben. Die Zuneigung ist gegenseitg. Ein sehr nettes Paar das immer wilkommen ist. Un havre de paix bien situé !